Burnout in the workplace is at an all-time high for employees in America, with the workforce giving up over 662 million paid vacation days in 2016 alone. This equates to about $66.4 BILLION in benefits not taken by the American workforce, or roughly $604 out of your own personal piggybank. And it’s not just cash you’re forfeiting when you don’t use all your PTO; researchers found that overworked employees are less productive, contribute fewer ideas to the team, and often have a lower performance review at the end of the year. It’s time to reclaim your paid time off, and Virginia is for Lovers wants to help! Each month, the team travels to a new place in Virginia and discovers all that there is to do, eat, and see. We show you how taking a single Friday off work can turn your typical 48 hour break into a memorable three-day adventure. This month, we traveled westward to the Blue Ridge Mountains, spending three days experiencing the best that Roanoke and the surrounding mountain towns had to offer. Follow this detailed itinerary to “Crush” your next Friday in Virginia’s Blue Ridge! 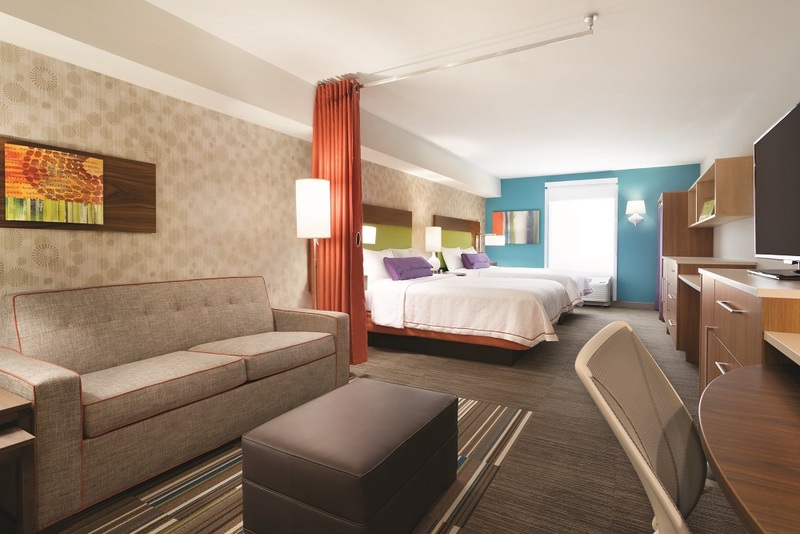 Located midway between Roanoke and Salem, the Home2Suites by Hilton in Roanoke was a convenient spot for us to spend the evenings. The accommodations were huge and included spacious bedrooms, living rooms, bathrooms, and full kitchen areas in case you want to eat any meals in the room or bring a snack back to prepare later. Plus, the hotel is pet-friendly, with a “Pet Pit Stop” area located right outside for your doggie to do their business. And with many of the breweries within 10 miles of the hotel, Ubers or other transportation services were extremely affordable. If you’re thinking of splurging on accommodations and staying within the downtown Roanoke area, consider booking a room at the Hotel Roanoke. While you may prefer driving into Roanoke, consider taking the train and traveling with Amtrak into the Blue Ridge region. The trains are pet-friendly and only a short ride from various locations, including Richmond and Washington, D.C., allowing you to relax and enjoy the journey through some of Virginia’s most scenic landscape. The first stop on our visit to Roanoke was the Taubman Museum of Art, where we studied internationally acclaimed work from a wide variety of artists, from the classic style of Norman Rockwell to the modern paintings of Kehinde Wiley. 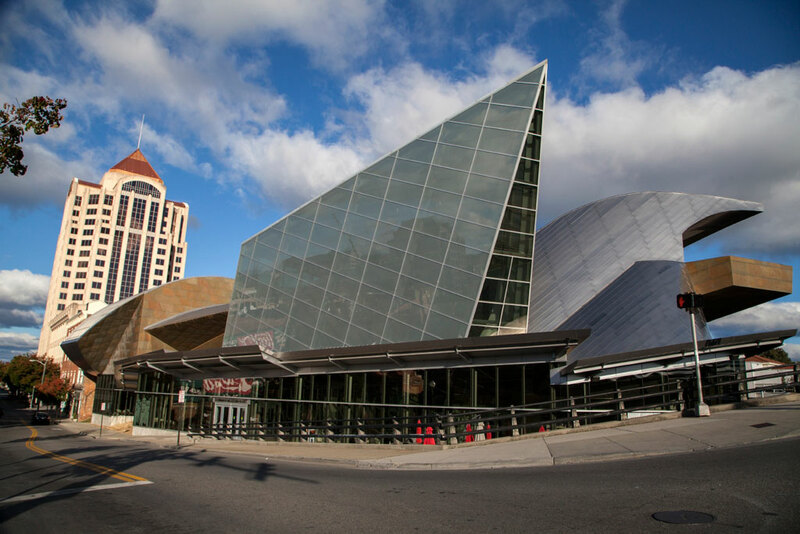 Even the museum’s façade reflects its interesting artistic appeal, with sharp angles comprised of glass panes jutting into the historic Roanoke skyline. 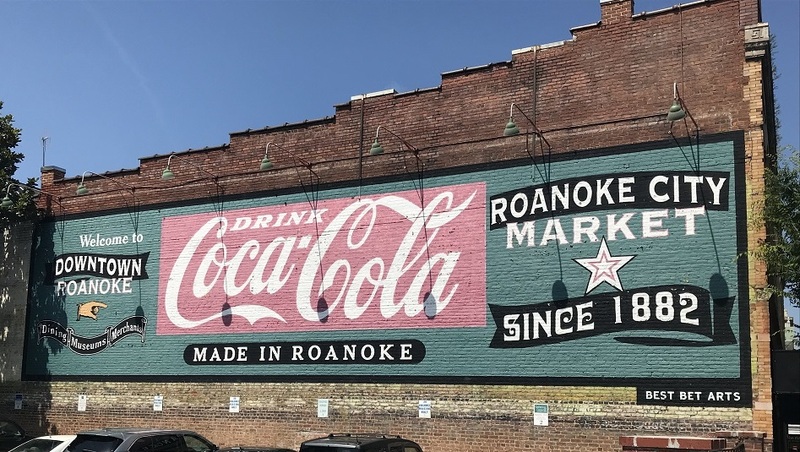 Meander through Roanoke’s downtown area, browsing through the boutique shops along the way, then walk to Center in the Square, an arts and cultural center in Roanoke that contains several unique museums dedicated to science, history, and, our favorite, pinball machines. 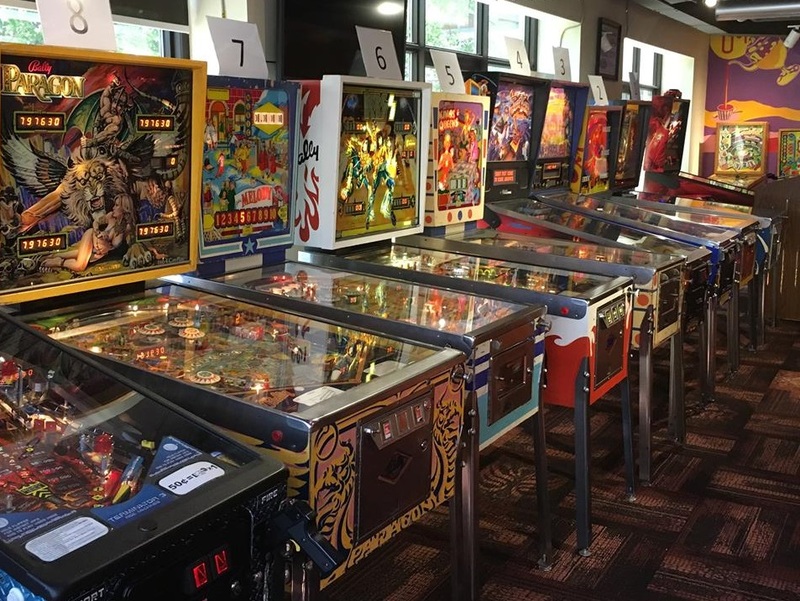 The Roanoke Pinball Museum has more than 50 different pinball machines, and you can play all of them at no extra charge when you pay the $12.50 admission fee for the museum. Spend an hour or two perusing the museum and tracing the history of pinball as you see machines that date from 1923 to 2014. 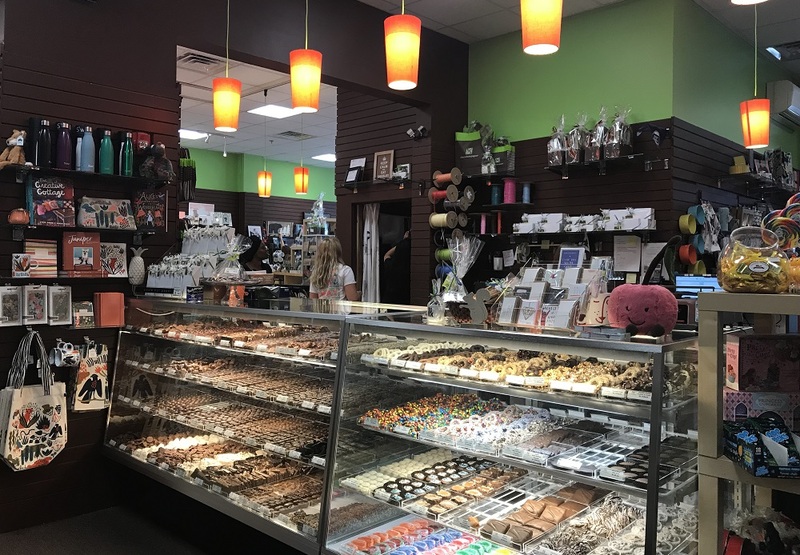 Knock a few souvenirs off your list with a visit to Chocolatepaper, a quirky shop around the corner from Center in the Square that sells everything from postcards and coffee cups to decadent chocolate truffles in every flavor imaginable. Whether you’re into pink pineapple notebooks or boutique men’s care products, you’ll find it all and more at Chocolatepaper. Head across the street to On the Rise for lunch. 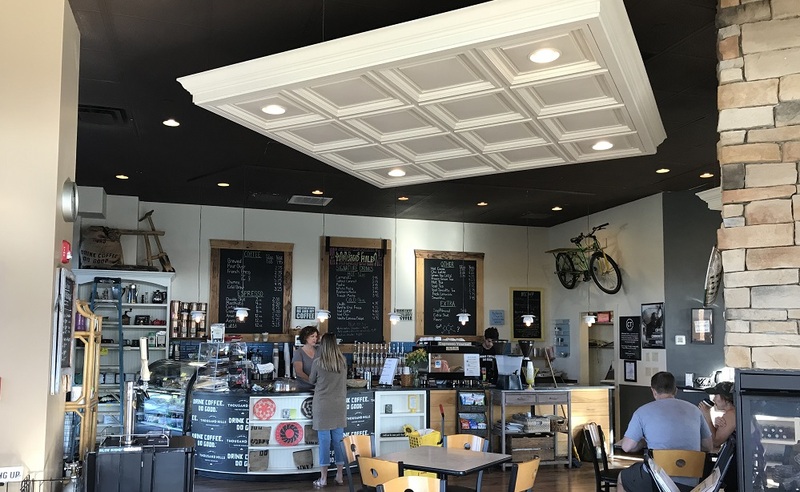 In addition to a wide assortment of baked goods, the restaurant also serves a lunch menu with sandwiches, paninis, salads, and a daily variety of specialty pizzas by the slice. Leave downtown Roanoke and drive across town to the historic Grandin Village area. 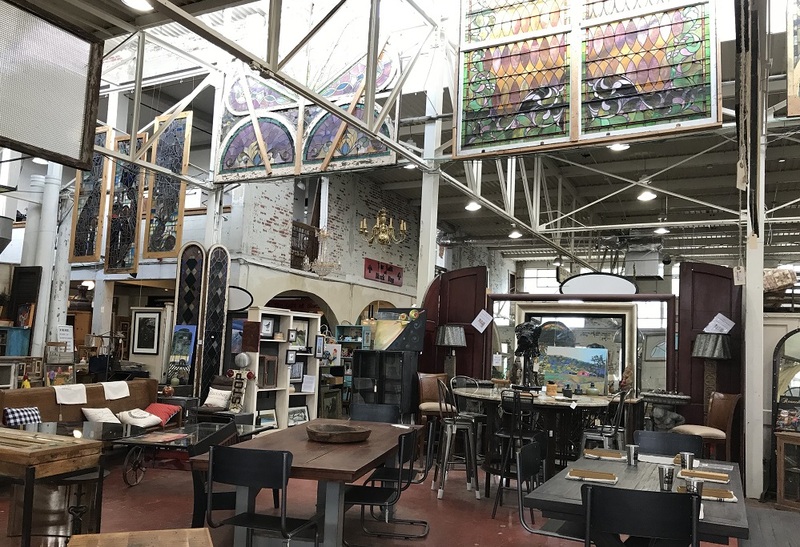 Start your tour of the neighborhood with a little shopping in Black Dog Salvage, a repurposed salvage warehouse famous for its own television show on the DIY Network. Browse through makeshift aisles filled with stained glass windows, antique furniture, and countless intriguing knickknacks. 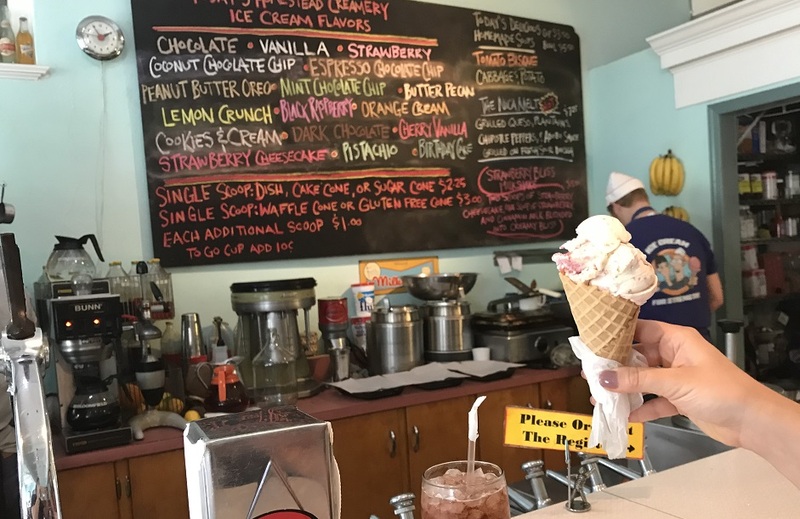 Travel across the bridge to the center of Grandin Village, a small shopping district filled with clothing shops like Urban Gypsy, historic sites like the Grandin Theatre, and for those with a sweet tooth, Pop’s Ice Cream and Soda Bar. Enjoy a cone of your favorite flavor, or try out the old-school soda pops, made with seltzer water and homemade syrups in flavors like cherry, watermelon, root beer, and cream soda. Top with a scoop for a decadent ice cream soda. At this point in the day, you may be feeling a bit heavy, so work off all the day’s treats with a bike ride along the Roanoke Valley Greenway. Rent your ride from Underdog Bikes, a full service bike shop located along the Greenway in downtown Roanoke. They’ll hand you a helmet, prep you with basic instructions on operating your bike, and get you on your way with simple directions for the trail’s nearby access point. 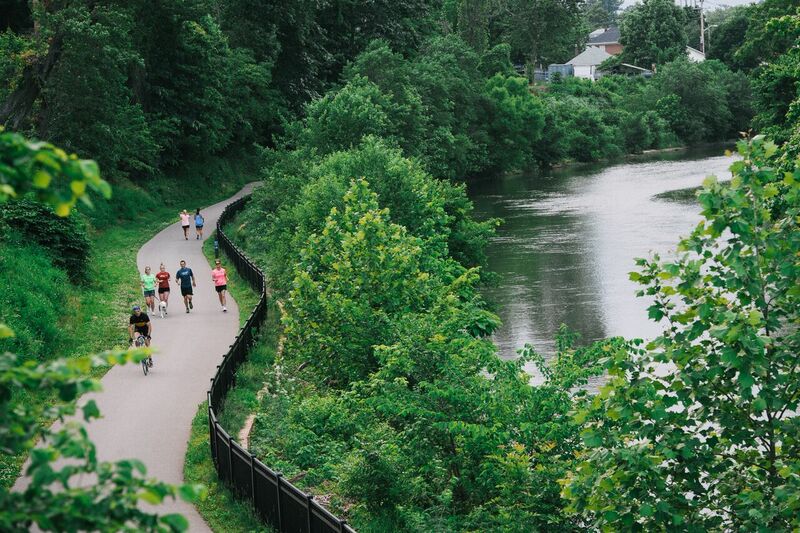 The Greenway follows the Roanoke River for miles, providing a scenic backdrop for your biking route through the city, and several other trails branch off from the downtown area, resulting in over 30 miles of biking trails for you to explore. Return the bike rentals to Underdog and journey to the hotel for check-in. 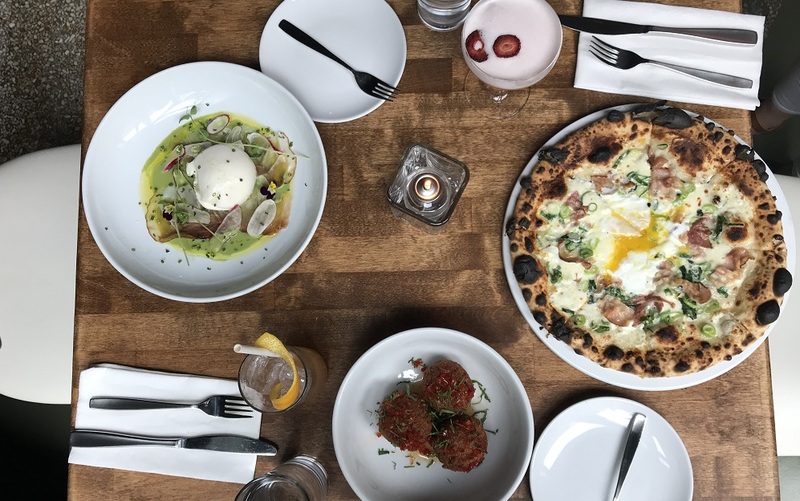 Freshen up and get ready for dinner at Fortunado Restaurant, known for their Neapolitan-style pizzas and traditional Italian fare with a twist. The restaurant’s design leans modern, with large drum lights, expansive windows, and one-of-a-kind artwork. Take a peep into the dining room at the far end of the restaurant, where an entire half of a van has been painted and mounted on the wall as a truly unique mural. Depart from downtown Roanoke and travel west towards the neighboring city of Salem. 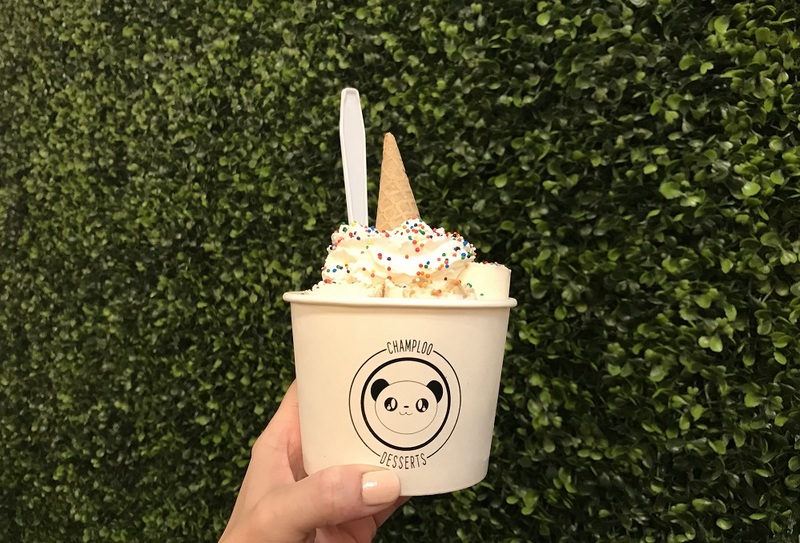 If you’re the type of person that doesn’t believe in limiting ice cream to a once-a-day treat, stop in to Champloo Desserts for your second ice cream fix of the day. Unlike the traditional take at Pop’s, Champloo has modernized the ice cream experience, crafting and serving rolled ice cream in an Instagram-worthy display. We liked the Unicorn, a vanilla ice cream and sugar cone mix topped with whipped cream, sprinkles, and another sugar cone. 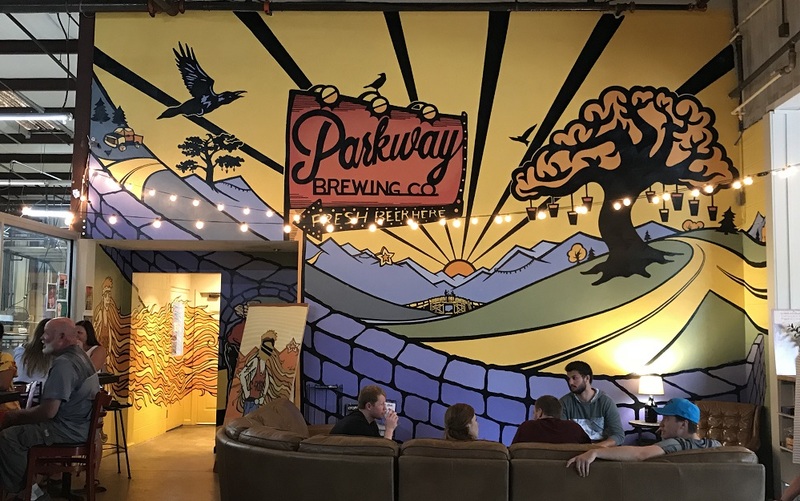 Next, grab a brew at Parkway Brewing Company, a Salem brewery that crafts excellent examples of nearly every style. For IPA lovers, the Get Bent Mountain IPA is the way to go; the dark beer fan will enjoy the Ravens Roost Baltic Porter; and if a lager is the key to your heart, the Puddle Jumper will satisfy your beer craving. 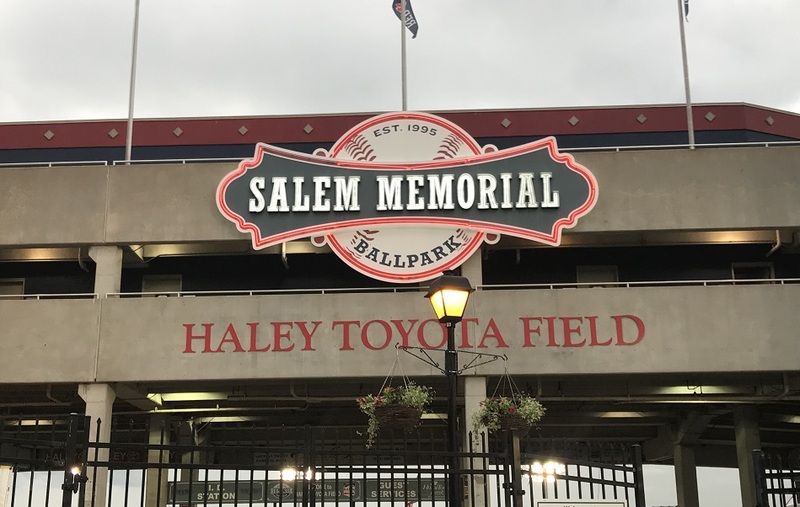 End the evening at a Salem Red Sox game at Salem Memorial Baseball Stadium. Cheer for the home team and splurge on some classic baseball snacks under the lights at this Minor League Baseball location, which boasts views of the Blue Ridge Mountains behind the field. Start your day early with breakfast at Scratch Biscuit Company. Their homemade biscuits are giant and extremely affordable, starting at just $2 for items like the Sausage Biscuit or an Egg & Cheese Biscuit. 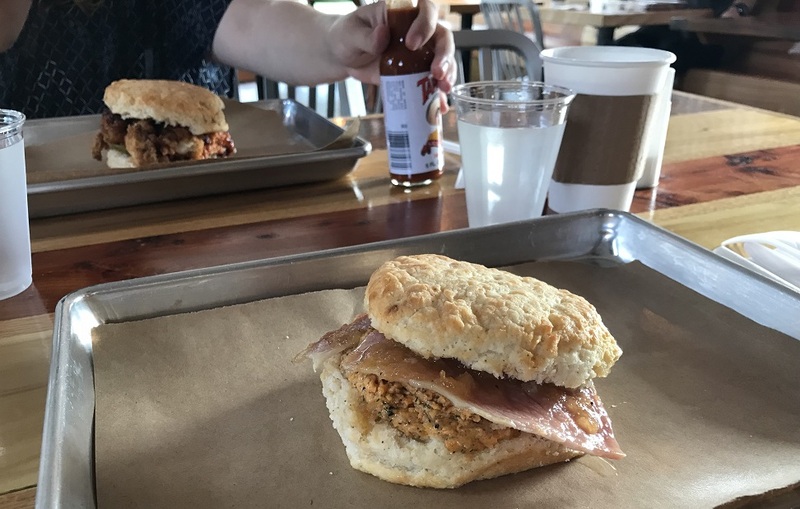 We stepped it up to the $3 menu for the Nashville Hot Chicken Biscuit (EXTREMELY spicy) and the $4 Jezebel Biscuit, a homemade biscuit filled with thick country ham, pimento cheese, and their special “Jezebel” sauce. You’re guaranteed to leave Scratch full (and if you love them as much as we did, with a to-go bag of biscuits). Hit the road for a scenic drive south through the countryside with Bridgewater Marina & Boat Rentals in the GPS. Located on the shores of Smith Mountain Lake, the marina rents out several different types of boats depending on your interests. Spend a quiet morning out on a pontoon boat taking in the scenery of the massive lake, encircled by the stunning Blue Ridge Mountains. Or, if you’re looking for speed and adventure, consider renting one of the more powerful boats and trying something new like wake boarding or wake surfing. The lake has become a popular recreational area for water sports, but with almost 21,000 acres of water, there is no shortage of space for exploring the waters by boat. 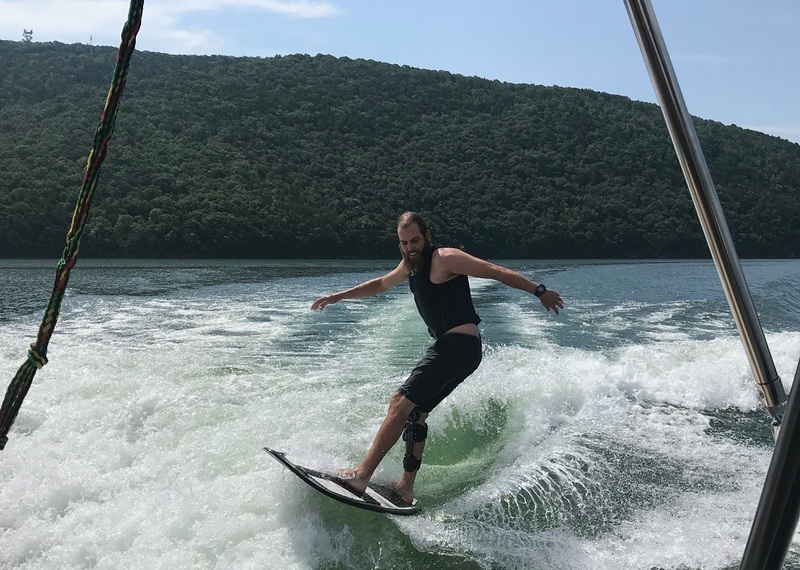 In addition to boats and gear for wake sports, Bridgewater Marina also rents out paddleboards and tubes for those interested in a leisurely paddle or float along the lake waters. After your day on the water, make your way back to the marina and peruse their shop to take home a few souvenirs from your Smith Mountain Lake excursion. A few doors down from the marina shop, Mexico Viejo Bar & Cantina overlooks the lake, providing one of the best views of the water from the restaurant patio. Start your meal with an order of the tableside guacamole as a fresh appetizer, then peruse the menu of traditional Mexican fare for entrees. We like the Taco Trio, three flour tortilla soft tacos filled with steak, chicken, and carnitas, or the Taco Salad, a crisp flour tortilla filled to the brim with grilled chicken, beans, lettuce, tomatoes, cheese, and sour cream. Leave the marina and start the journey back towards Roanoke. 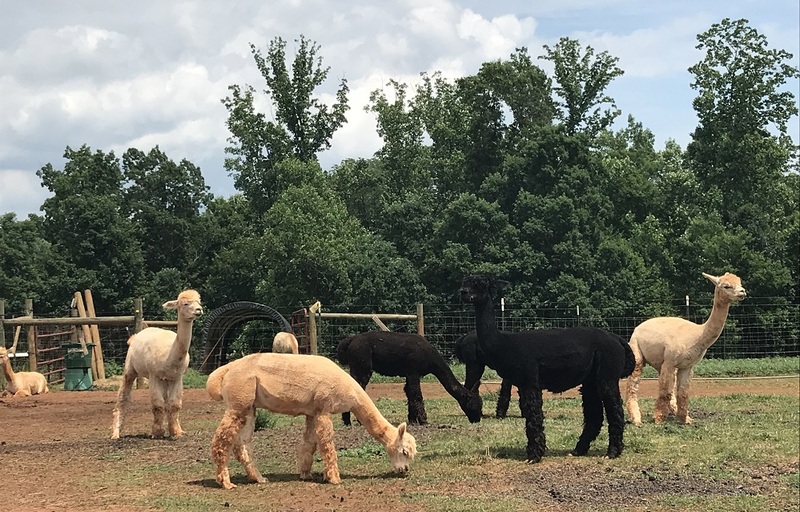 Just a few miles down the road, Smith Mountain Lake Farm Alpacas makes a perfect first pit stop on the route. The farm has educational tours that teaches you all there is to know about alpacas, including the chance to hug the alpacas (seriously, this alone is worth the trip to Roanoke). The owners are extremely passionate and knowledgeable about the animals, and you’ll leave the farm wanting to take one home as a new four-legged friend. 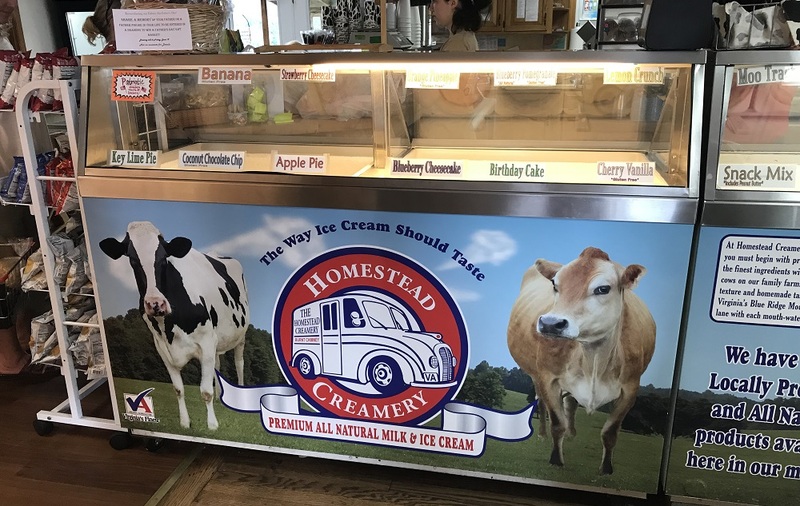 We’ve already suggested two ice cream shops in the Roanoke area worth a visit, but we would be remiss if we didn’t tell you to stop by Homestead Creamery’s Farm Market in the small town of Wirtz. They make dozens of products on-site, from the many flavors of seasonal ice cream to fresh milk, jams, and baked goods. 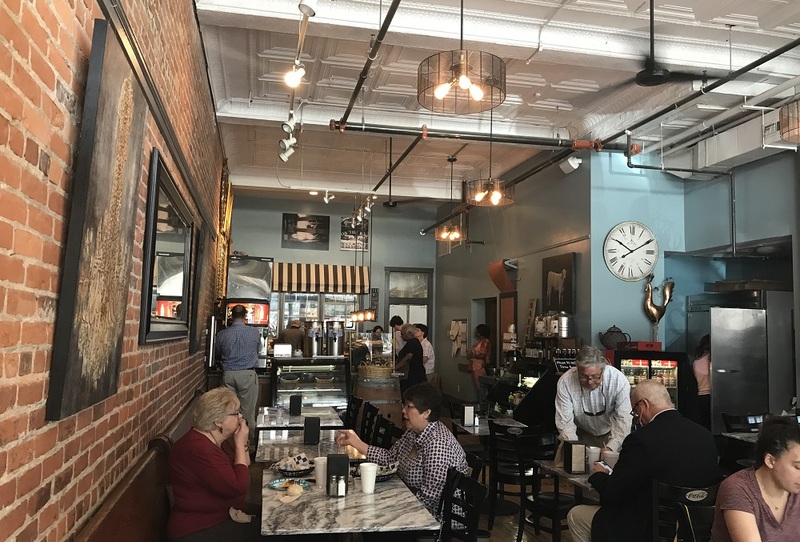 The market also contains a small restaurant section that serves cold and hot sandwiches, fresh salads, seasonally inspired soups, and a handful of sides to pair with your meal. If you don’t have much of an appetite yet, they can pack it up as a to-go order and you can carry it back to your hotel for later. Get back in the car to head back to the hotel for a little down time before your evening plans. Chances are, you’ve heard a bit about Roanoke’s activities for outdoor enthusiasts; hiking through the Blue Ridge Mountains, following a section of the famed Appalachian Trail, or riding along the newly-certified Silver Level trails designated by the International Mountain Bike Association (the only location to be awarded silver on the east coast!). 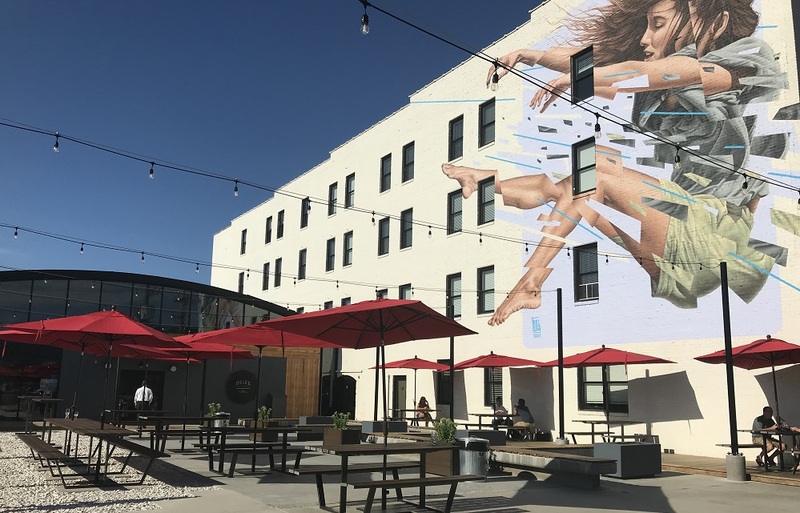 But in addition to excellent outdoor sports opportunities, the region has grown into a mecca for craft beer lovers, and there are several options in the downtown area that should definitely be on your Crush Friday itinerary. At Big Lick Brewing Company, you’ll sample some of the finest local craft beers in Roanoke. They are well known for constantly rotating their tap menu depending on the season, serving up to 24 different craft brews at a time. We recommend ordering a flight and asking your bartender about options that align with your beer tastes. They’ll suggest a handful of the latest brews on draft for your flight, giving you a good starting point for choosing your favorites from the large selection. 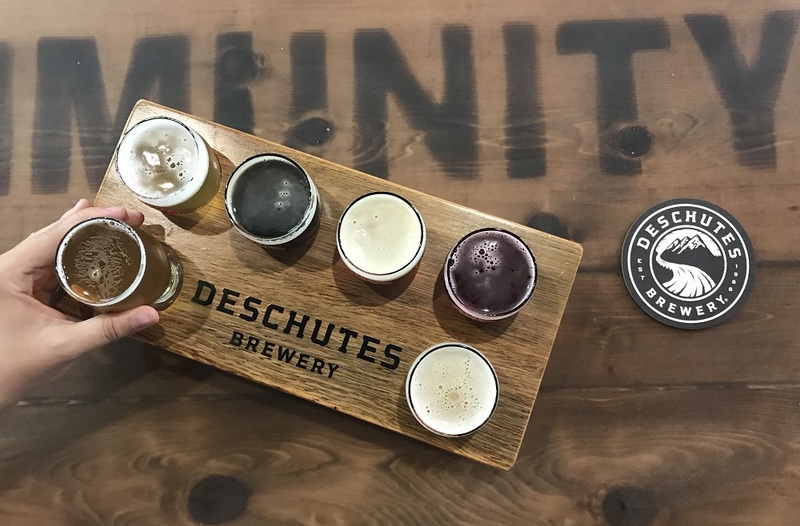 Next up, Deschutes Brewing may not be a native brewery for Virginia, but after stopping in to their Roanoke Tasting Room, we’re able to forgive their Oregon roots. They serve up 24 craft beer on draft at a time, but the best way to get a taste for the brewery is to order the tasting flight to compare a few of the seasonal offerings and staple favorites. Don’t miss their Fresh Squeezed IPA, a brew worth trying even if you’re not a fan of traditional IPAs. Walk over to Martin’s Restaurant for dinner, only a few blocks from the Deschutes Tasting Room. The restaurant menu has a wide range of dishes, from flatbread pizzas and specialty tacos to their signature burgers and sandwiches. And while the food is a big draw, the restaurant brings in even more local flavor with live music performances happening most evenings. 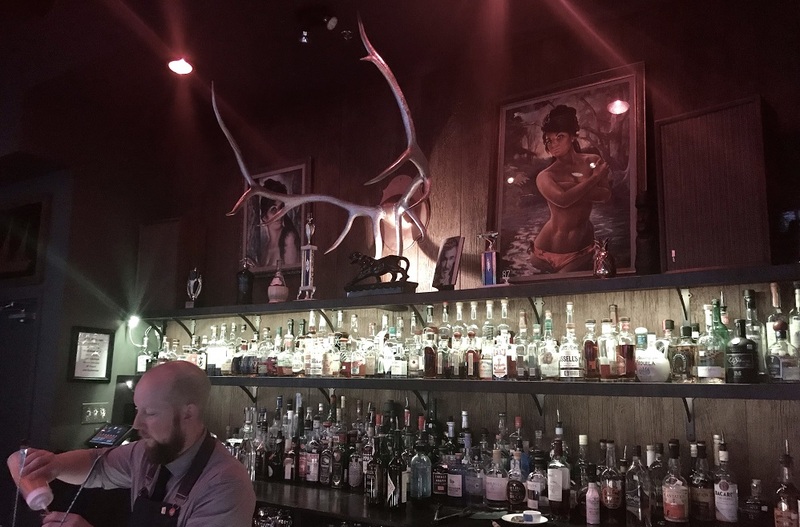 Before calling it a night, grab a final drink at Stellina, a speakeasy-style bar next door to—and owned by the same folks as—Fortunato. The décor nods to the 70’s, resembling what we imagine Burt Reynold’s living room looks like, and the cocktails feature the finest liquors and ingredients available. Stick to a classic Italian drink like the Negroni, or order one of the bar’s uniquely inventive cocktails, such as the Rhinestone Cowboy, made with bourbon, Bolivian herbal liqueur, a red banana, persimmon, and hibiscus reduction, lime, Angostura bitters, and orange oil. Unless you’re a master bartender, these are not the types of drinks you make at home, and you’ll rarely get the chance to try such impressive drinks again, so savor each sip! Wake up in time to see a beautiful sunrise over the downtown area from the Roanoke Star, a 100-foot tall illuminated star that you’ve probably already spotted towering above the city on nearby Mill Mountain. 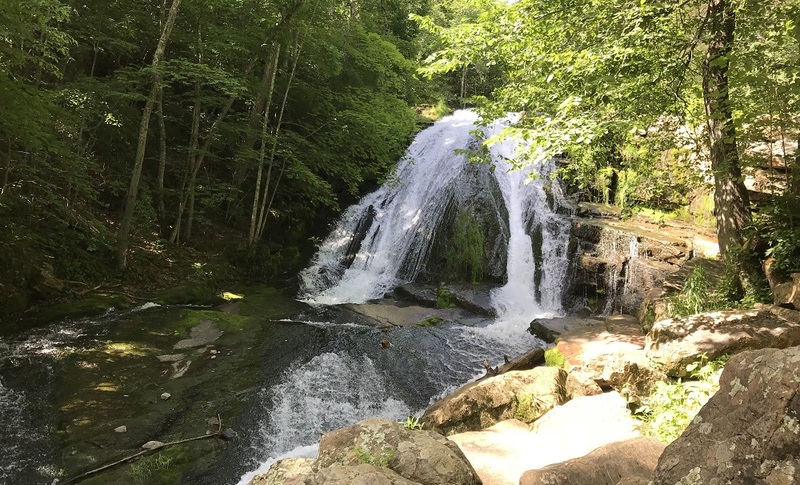 From the parking lot, you’ll hike Roaring Run Loop Trail about three-quarters of a mile to reach the payoff, the picturesque Roaring Run Waterfalls. The trail follows the stream on the way up, and then descends down the wooded slope of the mountain, creating a fairly easy 1.5 hike. After working up your appetite with the hike, travel back south along Route 220 to Ballast Point Brewing Company. Another brewery originally hailing from the West Coast, Ballast Point chose the town of Daleville for an East Coast presence, opening the largest brewery on the East Coast in the mountains of Virginia. 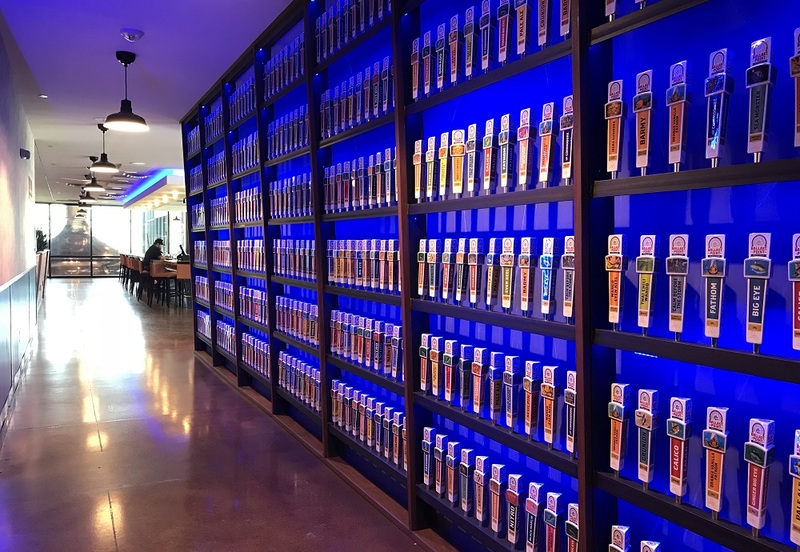 With an extensive beer list, an on-site 18-hole disc golf course, restaurant with a full menu, and cavernous tasting room perched on the mountainous landscape, Ballast Point is the perfect place to end your three-day visit to Virginia’s Blue Ridge. Follow the Virginia is for Lovers team next month as we “Crush Friday” on Virginia’s Eastern Shore, paddling, sipping, and dining through the pristine coastal landscape. The post Crush Friday: Your Mini-Vacation Guide to Roanoke and Virginia’s Blue Ridge appeared first on Virginia’s Travel Blog.